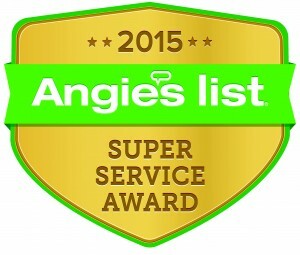 The drains in your home or business rely on cleanliness to avoid any dangerous obstructions. The pipes beneath these spots transport waste away from your facility. One unfortunate situation that can develop from a range of causes occurs when concrete or grout makes its way into your drains. Allowing materials like concrete to set in your sewer lines can result in backups, flooding, and costly repairs. Those looking for professional plumbing contractors in Washington can have peace of mind knowing that the Action team is on the case. Action Jackson Plumbing is here to serve as your reliable plumbing company in Edmonds, delivering quality services to clients in need across the PNW. Our local plumbers are experienced, insured, and ready to lend a hand in creating long-term solutions for your home or business. From homeowners completing a basement finish to construction crews cleaning their equipment in the shop, concrete can prove to be a noxious problem that results in costly repairs. If you are dealing with blocked drains, don’t panic! 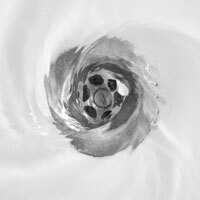 Today, we’ll highlight a few solutions that may prove to be helpful in clearing out your drains. If you are worried about the health of your current sewer system, be sure to reach out to our commercial plumbers for assistance! While it may sound dangerous, certain acid compositions can prove helpful in breaking apart concrete or grout that has bonded and cured. Muriatic acids used here, as the chemical works to break down the lime that helps in concrete’s rigidity. Most professional and DIYers have varying methods for timing and procedure, but giving the acid a few hours to set in and washing it out with four or more gallons is recommended to prevent any future damages. Keep in mind that acid can and will eat away at the interior of your pipes, making it an option to use sparingly. Our local plumbing company can provide sewer inspection services to determine the health of your pipes and the severity of your clog. A cable auger can prove very help in breaking down and removing tough clogs of all types. Often used for removing clogs in the toilet line, a snake is a long strand of steel that generally ranges from 20 to 100 feet in length. Commercial plumbing services can prove helpful for companies that have wet cement in their drains, as a cable can break through any buildups and prevent serious clogs. Attachments are available for specific problems, so be sure to do your research before attempting a drain cleaning. Electric versions of this cable are available for tougher clogs that will not yield to chemicals or snake attempts. These industrial augers are powered by electricity, providing additional strength and length for tougher sewer services. Homeowners dealing with concrete may find success in acquiring a power auger for personal use. 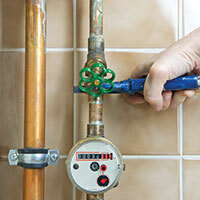 You can buy one, but keep in mind that this plumbing equipment is costly and often not worth the investment for homes. Tool rental locations can provide cost-effective solutions for those ready to take on the task. As a powered plumbing device, it’s important to be trained and comfortable with an electric auger before setting to work. Your rental agent can help in providing safe advice. If you are dealing with a stubborn clog and are not sure if this service will be enough, our plumbing company is here and ready to help! If left to cure, concrete can become very strong, normally resisting up to 5,000 pounds of pressure per square inch! This fact is helpful for structures, but bad news for your home or business’ drain lines. Professional plumbing services will be required for serious problems such as extensive clogging from concrete or grout. Larger pieces of cured concrete will result in more serious clogs, leading to problems now and in the future. If your pipe is bogged down by this issue, plumbing replacements may be necessary. Our professional plumbing contractors can work with you to create the most effective solution for your plumbing, providing comprehensive inspection services to ensure that the problem is fixed the first time. One problem that no property owner wants to deal with is concrete that was purposefully introduced into the drain lines with the intention of causing serious damages. Property owners, real estate agents, and investors all know the costs and complexities with this issue, making it necessary to find a professional resource for cost-effective solutions. Action Jackson Plumbing is here to help property professionals and homeowners alike find the best solutions if concrete or grout has made its way into the plumbing. Concrete cures quickly, making it vital to take action if you notice problems with your sewer lines. 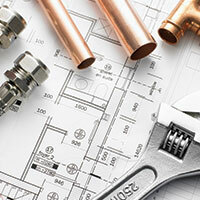 Contact our plumbing company in Edmonds today to schedule your service!